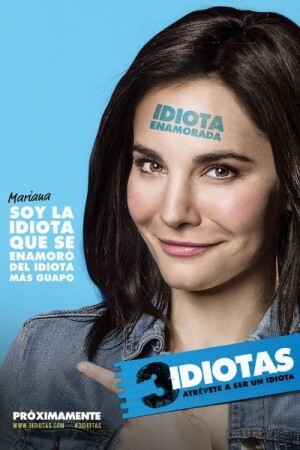 3 Idiotas is an upcoming Mexican film about the tale of three college students who challenge the conventions prevalent in the contemporary education scene. The film is an official remake of the Indian film 3 Idiots and will follow the same story. Two friends embark on a journey to locate one of their best friends, whom they never actually saw after the graduation day. The story is told through flashbacks for the most part as the two of them remembers their college days as they had the time of their lives, while struggling with the classic confusion between society and their passion.